When I'm asked by family members what I'd like as a gift for Christmas, my thoughts immediately travel to the kitchen. I think that's probably true for most foodies. We can never have too many cookbooks, enough kitchen gadgets or a full enough pantry. However, since most of us have limited space, we dream of gifts we will actually use. There's no room for stuff that's only hauled out once a year for the rare special occasion. With that in mind, here are some holiday gift-giving ideas for your favorite cook. Make a trip to your favorite local bookstore—Weller Book Works, The King's English Bookshop, Golden Braid Books or maybe Back of Beyond in Moab—to seek out these three extraordinary cookbooks. I don't know a cook who doesn't secretly envy Anthony Bourdain. He's a stud, and one that's as well-traveled and as well-versed in the culinary arts as anyone in the food universe. But what makes his latest book, Appetites: A Cookbook, such a splendid gift is that it's so practical. It's chock-full of uncomplicated recipes that can be executed at home. The dishes are the comfort foods we love, such as macaroni and cheese, meatloaf, lasagna Bolognese and sausage gravy with biscuits. Add his irreverent writing style, hilarious photos (such as the great Le Bernardin chef Eric Ripert with gravy dripping down his chin) and cover art by Ralph Steadman, and you've got a must-have holiday gift. 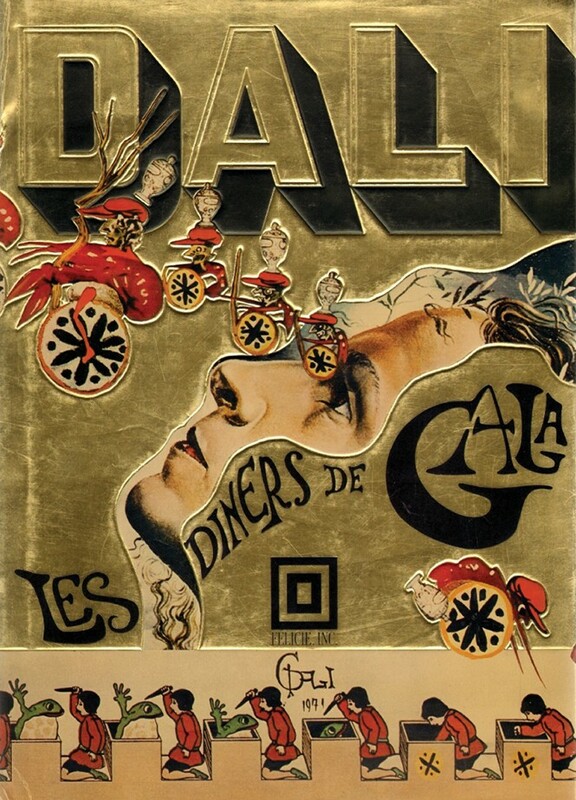 In 1973, the surrealist painter Salvador Dalí published a cookbook called Les Dîners de Gala, which in part documented the outrageously opulent dinner parties that he and his wife Gala were known for. Last month, Taschen Publishing released a reprint, and it's a gorgeous book, complete with 136 recipes illustrated by Dalí. This is not your grandma's cookbook, unless perhaps your grandmother was Frida Kahlo. One of my favorite foodie websites is Serious Eats, wherein über-food-nerds like J. Kenji López-Alt (the site's culinary director) deconstruct recipes and myths about the foods we love. Weighing in at about seven pounds and just under 1,000 pages is López-Alt's fabulous tome The Food Lab: Better Home Cooking Through Science. The author combines an M.I.T. education with his professional chef background to teach us all how to cook better in the kitchen. And believe me, when it comes to cooking almost anything—even boiling eggs—there's almost always a better way, and López-Alt shares his secrets with us. The Food Lab is a must for anyone who frequently asked the question "Why?" in the kitchen. Every cook knows the importance of a good set of kitchen knives. Spoons 'n' Spice (2274 S. 1300 East, Salt Lake City; 788 E. 9400 South, Sandy) has great prices on professional knives by producers like Zwilling J.A. Henckels, Wüsthof, Cuisinart and others. It's one thing to own a good knife collection; it's another to maintain it. Wüstoff makes it easy with their 4-Stage Universal Knife Sharpener ($19.99 while supplies last), which has two sharpeners (coarse and fine) for European-style knives and two for Asian/santoku knives. This inexpensive gift will keep your cook's knives in tip-top shape for years to come. If you'd like to add a terrific, all-purpose chef's knife to the mix, Spoons 'n' Spice is also selling the classic German-made Henckels 7-inch Four-Star Chef's Knife for a mere $39.99 (regularly priced at $109.99). Are you buying gifts for a cook who is thinking of going pro? You could give her or him the gift of culinary school. The next term of classes at Park City Culinary Institute—which now also has a Salt Lake City campus—begins Jan. 9, with evening classes starting on Jan. 31. The institute offers intensive, two-month programs taught by professional chefs such as Houman Gohary and Adam Kreisel, with instruction ranging from knife skills and butchering to high-altitude baking, charcuterie and sushi-making. For those on your Christmas list a little less serious about cooking, but who might enjoy a fun evening learning some basic kitchen skills, the Salt Lake Culinary Center offers one-off evening sessions that include the Five-Alarm Chili and Tamal Workshop, Junior Chefs classes, Flavors of South Asia, French Dinner Party and Homemade Doughnuts. Harmons' Farmington, Bangerter and City Creek locations offer frequent cooking classes with topics like Rib Roast Holiday Feast, Pho, Knife Skills, Sparkling Wines & Cheese, Holiday Brunch and Kids in the Kitchen, with prices starting at $10. And of course, Tony Caputo's Market & Deli is a longtime favorite of cooking class aficionados for their informal, hands-on tasting classes. Upcoming Caputo's events include Intro to Fine Chocolate, Wine 101, Intro to French Cooking, Tequila & Mezcal and Oregon vs. Burgundy wines. Liberty Heights Fresh (1290 S. 1100 East, Salt Lake City, LibertyHeightsFresh.com) makes holiday shopping easy with gift baskets ranging from $39 to $149. Popular baskets include the Spanish Pantry, with high-quality Spanish olive oils, spices, vinegars, chocolates and more. Their Locavore basket is jammed with goods from local artisans: Amour Spreads; Clifford Family Farms; Slideridge Honey; Amano and Solstice Chocolates; Rockhill, Beehive and Gold Creek Cheeses; Creminelli Meats; Laziz and Pop Art Snacks. If the cook on your shopping list would prefer to take the holiday off from cooking, you'll be happy to know that The Grand America's dining establishments will be open for business. Among the holiday events scheduled at the hotel this season are afternoon tea with Santa in the Lobby Lounge and Breakfast with Santa in the Oak Room; Christmas Eve breakfast, lunch buffet and prix-fixe dinner in the Garden Café; and Christmas Day brunch and prix-fixe dinner in the Garden Café (GrandAmerica.com). Here's wishing you and yours a delicious Christmas!